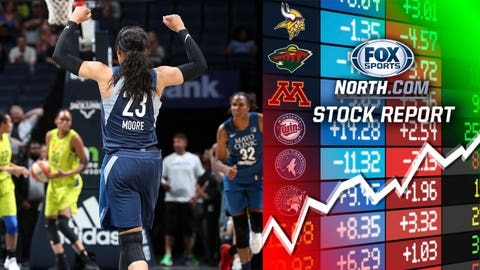 Moore is willing the Lynx back to the top. She was named the Western Conference Player of the Week on Monday after averaging 23.2 points, 5.3 rebounds and 4.3 assists in three games last week, only to follow it up with a season-high 32 points in Wednesday’s win over a 10-5 Seattle team. The Lynx are up to 8-6 on the season, three games behind the Western Conference-leading Los Angeles Sparks. 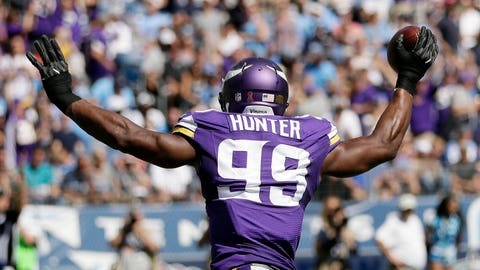 Hunter is now among the league's most valuable defensive ends. His new contract pays out around $14 million per season and puts him just behind teammate Everson Griffen on the league's list of its top-paid pass rushers. Meanwhile, Hunter's contract is set to expire when he's just 28, giving him plenty of runway to cash in again. The Vikings now have significant talent locked up through the end of quarterback Kirk Cousins' three-year mega-deal, and should have plenty of cap space left with which to sign linebacker Anthony Barr and receiver Stefon Diggs. 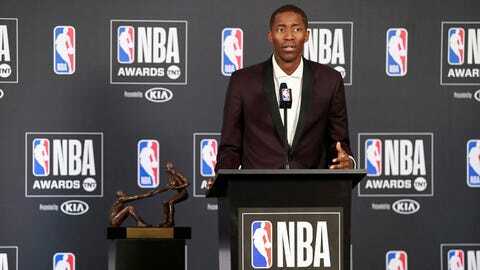 Crawford represented the Wolves at the NBA Awards and took home hardware after earning the Teammate of the Year award. “This isn’t something you’re trying to win; you’re just trying to do the right thing and have your teammate’s back,” Crawford said in his acceptance speech. The 38-year-old will reportedly opt out of his 2018-19 contract option and hit free agency, but even if his stay in Minnesota ends prematurely, the Crawford experience was quite the ride. Polanco’s suspension-shortened season took another hit last week when his right index finger — that he jammed in a door —became infected. The good news is Polanco recovered enough to begin his rehab assignment with Single-A Fort Myers on Sunday. He went 0-for-3 with a strikeout in his debut, but rebounded for a 2-for-3 effort with a homer and a pair of walks just two days later. The way the Twins are hitting (or rather, not hitting) recently, Polanco’s name would look great in the lineup as soon as possible. Dozier had been mired in a major slump so far this month, but has come on strong over the last week. He's 6-for-20 with three doubles and a home run in his last six games, and reached base safety in all of them. 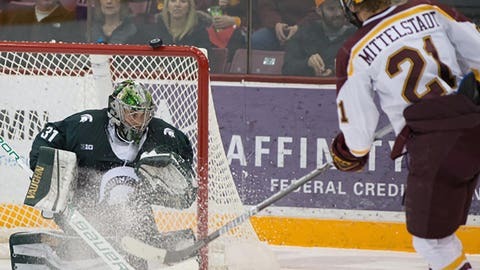 A few months are losing their only Mittelstadt to the pros, the Gophers landed verbal commitments from two more. Eden Prairie's John Mittelstadt and Luke Mittelstadt -- the younger brothers of Casey, drafted eighth overall by the Buffalo Sabres last year -- made the announcement on Twitter. Casey was a point-per-game player in his first and only season with the Gophers, making the All-Big Ten Freshman Team. John, a 16-year-old forward, will be a junior next year and had 16 points in 25 games of high school hockey last season. Luke, a 15-year-old defenseman, will be a sophomore, and played bantam hockey for Eden Prairie last season.